In December we blogged about the rapid growth we had seen in antibody use in Korea’s research institutions. Today we’re going to take a deeper look at our data to explore how suppliers can make the most of a growth market like Korea. Rhys, when looking at a new growth market, what factors should suppliers be focusing on? So to start, using your data for the Republic of Korea as an example, can we see which applications most antibodies are being used for in this area? How about the research fields in which products are most used in Korea? “Our data does show how researchers use antibodies – we can see that cancer research is the field boasting the most research antibody citations for the Republic of Korea, with nearly a quarter of all citations. “Other significant research fields are cell biology and biochemistry, each claiming around 15 per cent of the citation share. Finally, from this data, which institutions would suppliers do well to focus on? “This is probably one of the most exciting ways to analyse this data – by analysing exactly where research is taking place suppliers can target their marketing spend extremely well. “When we look at citations for antibody use in Korea, four of the top five institutions with the most citations are located in the capital city, Seoul. 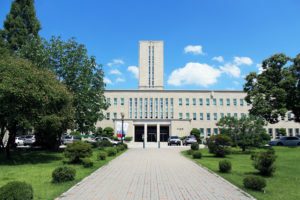 Product marketing and sales teams looking to break into this market might want to look at attending conferences and events based in Seoul, and at direct marketing activity to the capital’s leading research institutions, such as Seoul National University which claims 15 per cent of the total citation share. Today we are giving away the top 20 most cited institutions in the Republic of Korea – sign up below to receive your free data. If you’d like to explore our full data sets for Korea or other countries please contact Rhys who will be happy to help you.